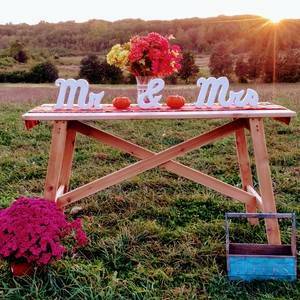 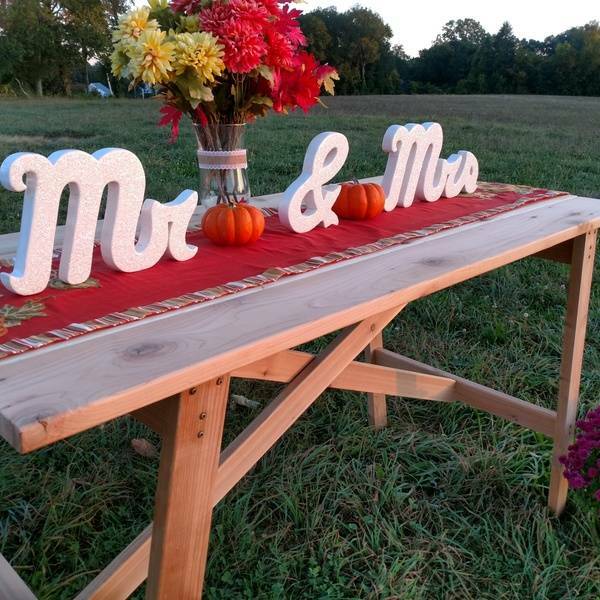 A tables contents can hold a variety of important items such as wedding memorabilia and decorations. 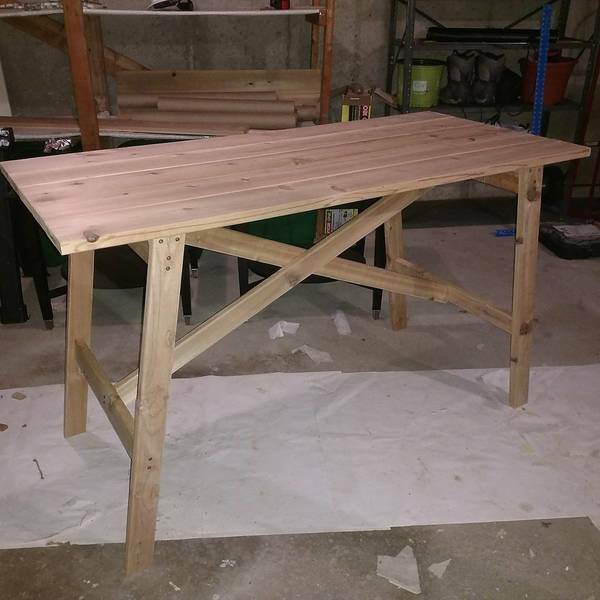 I built this cedar table to be displayed at the entry way of a beautiful rustic wedding. 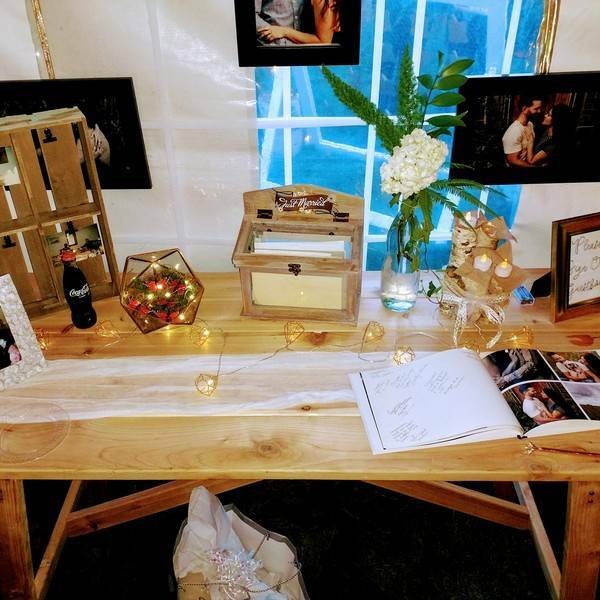 Family pictures and wedding decorations spanned across highlighting the many great memories had, and many great memories to come.